The inscription on the back is: Strengthen the union of workers and peasants! 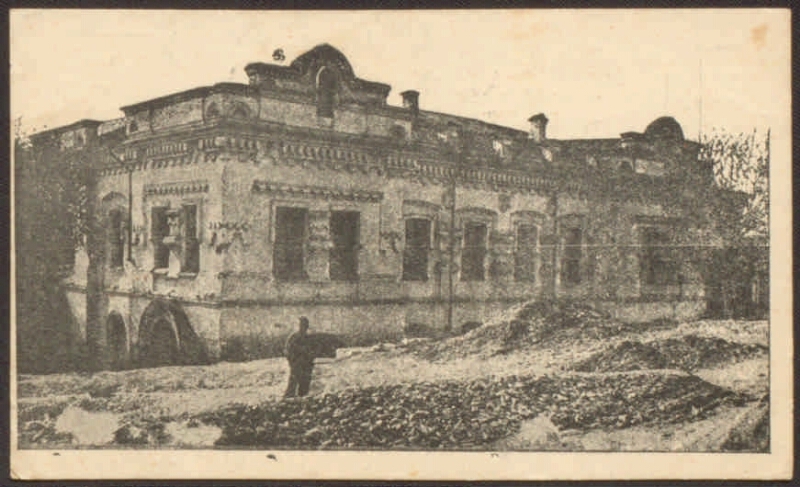 Electronic reproduction of the post card: g Sverdlovsk, house b. Ipatiev, where he was imprisoned and shot by Nicholas II and his family [Izomaterial]. The publication of the 1st District Council, [between 1928 and 1930]. 1 card: photo-mechanical seal. No. 4949. 6 kop. Circulation 5000 copies. Location: Children's Memorial Museum, St. Petersburg. I. Presidential Library. B. N. Yeltsin (St. Petersburg) .1. Romanovs (family) - Postcards. 2. Postcards in the Presidential Library fund (collection). 3. Territory (collection). 4. House of the Romanovs (collection). 5. Sverdlovsk region: pages of history (collection). 6. The royal family - Murder - Postcards. 7. 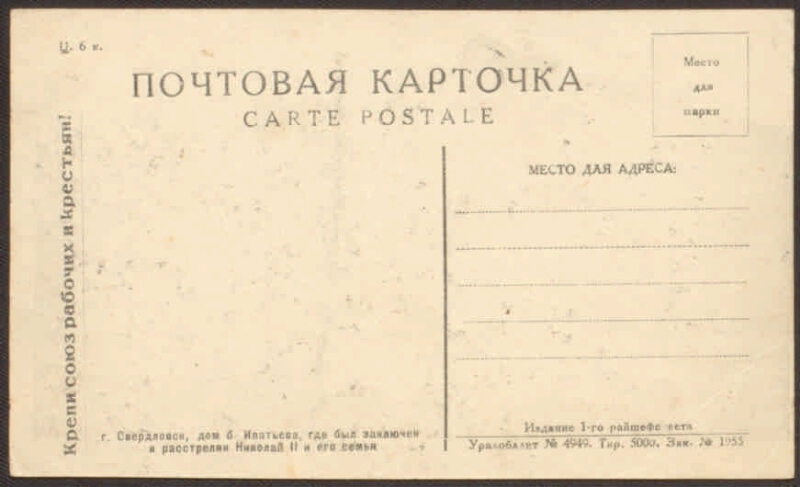 Ekaterinburg, city - Postcards. 8. Documentary cards - the USSR - 1917-1941.